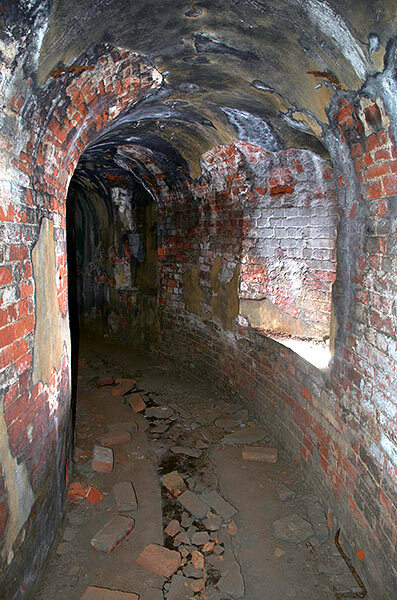 Entrance to the internal premises of the fort. 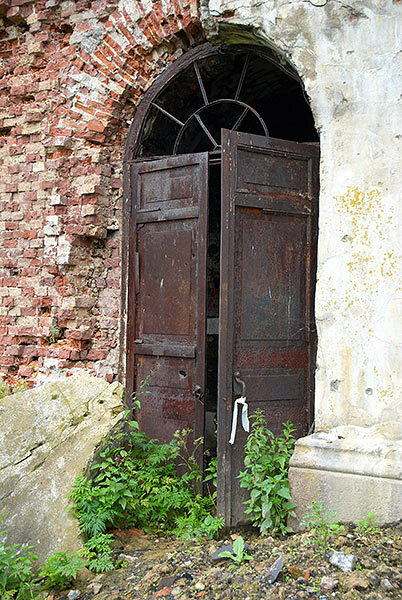 The metal doors with numerous holes (probably the traces of bullets and splinters) are visible. During WW2 the fort was not far from frontline.